You should sleep with a stranger —those words whispered in her ear by her best friend became a challenge Kasie took to heart. Suddenly, the man who gave her the most shocking pleasure in that upscale Vegas hotel —a man whose name she never bothered to find out —is her company’s biggest client. As this unknown man becomes Mr. Dade at the office, and Mr. Dade becomes Robert in the bedroom, Kasie’s passion won’t let her deny him anything he wants. But when her fiancé, Dave, finds out, there’s no telling what he will do to keep her, or what Robert will do to steal her away once and for all. The first one was more interesting, but I loved the second one too. At the end of the first one, everything was going down for Kasie. Dave caught her cheating ana Kasie didn't know what to do about it, because she could lose her job, her life, her prestige. And in this one, Dave is beginning to treat her as a whore, he's threating her in so many ways. But of course Robert is determined to save her, but Kasie wants to do it all by her ways. And she succeeds too. But after that, she realizes that she's losing herself in Robert Dade's actions. It was well written, I enjoyed the story. But it also made me angry too. Dave was really annoying and Asha was the same too. Just like in the first one, I’m wondering what will happen next. I think Robert will show his real face in the third one. İlk kitap daha ilginçti ama bunu da sevdim diyebilirim. 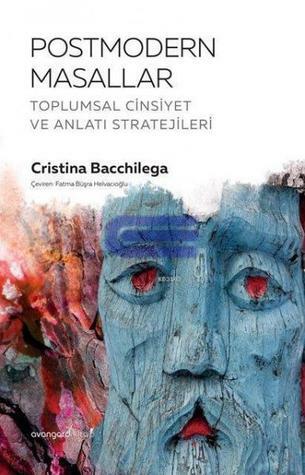 İlk kitabın sonunda her şey karışmıştı. Dave, Kasie'nin aldattığını öğrenmiş ve Kasie de bu durum karşısında ne yapacağını bilememişti. Çünkü işini, hayatını, saygınlığını kaybedebilirdi. Bu kitapta Dave ona fahişenin teki gibi davranmaya başlıyor, onu durmadan tehdit ediyor. Tabi asıl erkek Robert onu kurtarmaya kararlı, ama bu sefer Kasie her şeyi kendi halletmek istiyor. Ve başarıyor da. Ama işin sonunda kendini Robert ne derse onu yapıyor bir halde buluyor, kısacası kendini kaybetmeye başlıyor. Hikaye güzel anlatılmıştı, hoşuma da gitti. Ama bir hayli de sinirlendim. Dave ve Asha çok gıcık iki karakterdi. Son kitapta ne olacak onu da merak ediyorum. Sanırım artık Robert gerçek yüzünü gösterecek ve olaylar gelişecek.